you can Register here, we will PM you the password! 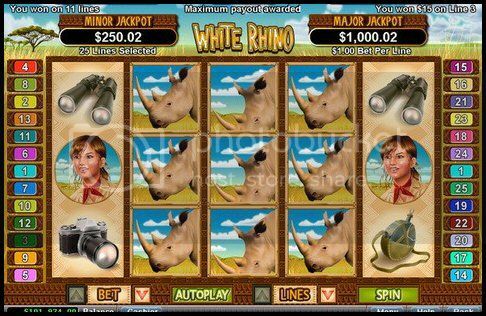 White Rhino is a 5 reel 25 line video slot powered by RTG with an African theme. It offers scattered wilds on reels 2, 3 and 4 and also 3 bonus games. major jackpot which are triggered at random. This Exclusive Slot Freeroll is open to all New and Existing Players! If you do not have an account, click the banner in this post to open one. 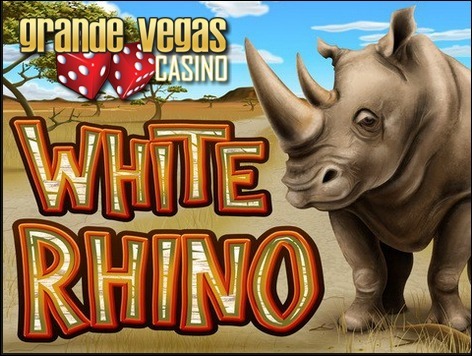 Grande Vegas Casino is powered by RTG Software. *Standard Free Chip rules will apply to winnings. Can I get the password please. Griffin47. Can i please get the password for the tourney? Thank you. hello can I have password please? May I have the password?